This page is in honor of my obsession with ice cream and if Kara is going to be anything like me, which she's already showing signs of it, she will be in love with it too. 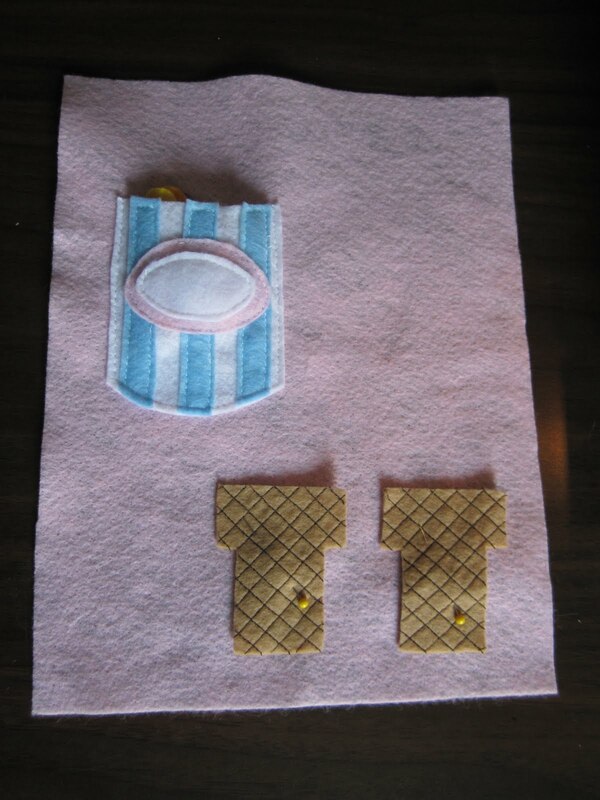 The concept is to have two ice cream cones for two people to make patterns, or for mom (me) to do one cone and her to make her's match. So it can be a game for one person or two. Note: There's actually 2 cones, you just can't see it very well. The ice cream is stored in a carton. Which I made from white, with light blue stripes and then an oval circle, which I'm going to later iron on the words 'ice cream' or something. 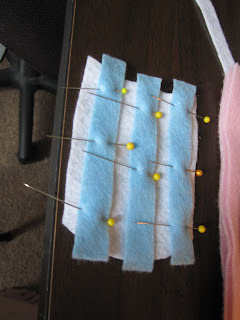 First I cut out the ice cream carton shape then just cut strips of blue. Spaced them out, trimmed the tops and bottoms and sewed them on. 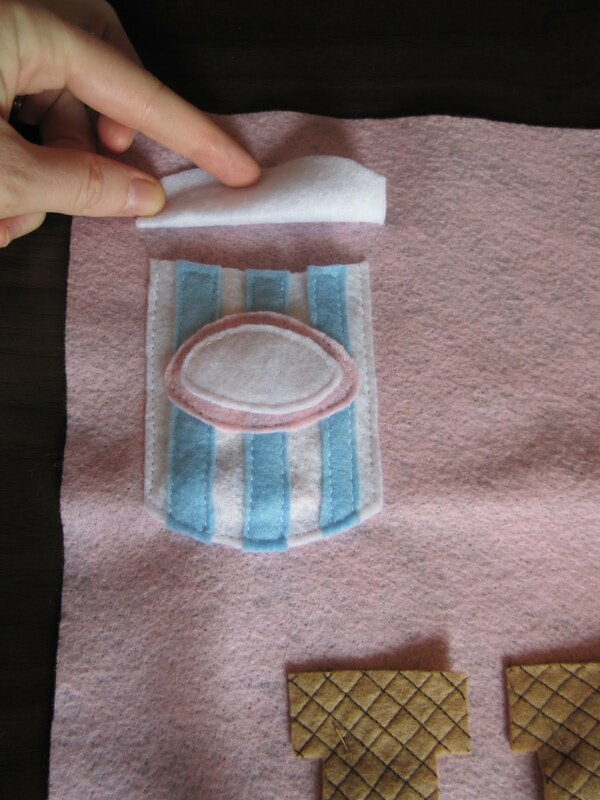 Sewed on the white oval onto the pink larger oval, which is the label on the carton. Then sewed it on the carton itself. Then all that's needed for this one is to place the ice cream cones and carton in place and sew them all on (make sure to not sew the carton opening). The last thing is to fill the carton with the ice cream. (I ended up making way too many scoops for my tiny carton. Next time I would have made smaller scoops/cones or a larger carton.) After you fill the carton with your scoops you can now place out where the lid needs to be to cover the opening of the carton. Sew it on and you're done!